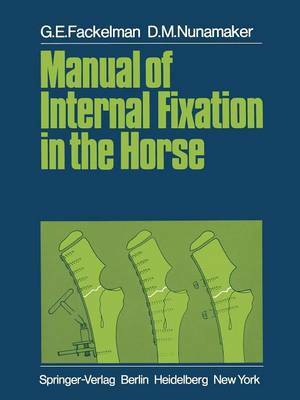 It is with pleasure that we offer these introductory remarks for the Manual of Internal Fixation in the Horse, a book describing a further application of AO or ASIF techniques. The letters A-O stand for the Arbeitsgemeinschaft fUr Osteosynthesefragen and have been trans- lated into the Association for the Study of Internal Fixation. The organization is truly a "study group", created in Switzerland, that met for the first time in 1958. The major goal was to establish a task of fracture treatment by force committed to the improvement osteosynthesis. The group's motivation arose out of the then prevailing unsound or inconsistently successful attempts at fracture treatment. According to statistics obtained from the Swiss National Health Insurance Program at the time, the so-called conservative treatment of fractures had resulted in a high rate of persistent morbidity. The problems encoun- tered included: irreparable damage due to long-term immobilization; delayed union or pseudoarthrosis; malalignment; and, inadequate reduction of intraarticular fractures with resultant osteoarthritis. Accurate, stable osteosynthesis seemed the only practical way to address those various shortcomings. However, many of the osteosyn- theses performed at that time had led to new problems, since most were not stable and, in some cases, actually worked to prevent healing.